Oh my! 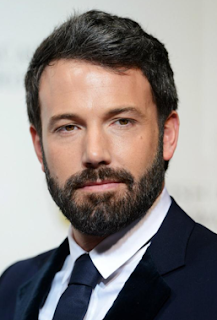 It has been announced that Ben Affleck will put on the suit that Adam West, Michael Keaton, George Clooney and Christian Bale have donned before him*. Ben Affleck will be the next Batman. Does anyone remember Daredevil? Just sayin. I would have been more comfortable with Ben Affleck directing a new Batman series than I am with him actually being the new Batman. Zach Snyder will direct the first movie where Affleck is the Bat. Joining him on the screen will be Henry Cavill reprising his role as Superman in the first film that stars both superheroes. Remember Henry Cavill from this summer's Man of Steel? Not great. OK, let's recap. Ben Affleck is an awesome director - less great actor. Ben Affleck already made the world endured Daredevil. Man of Steel was a disappointment which Zack Snyder directed. Does all of this equal greatness for this new direction? *Yes of COURSE I left out Val Kilmer. Some things should not be relived.